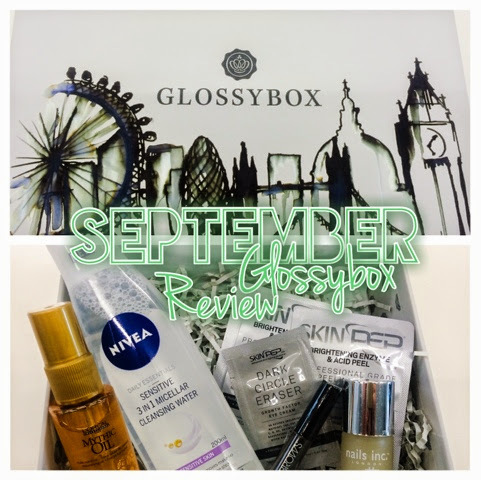 September’s Glossybox landed and I am soooo excited, its an amazing box this month (and nothing is missing!). So glad I swapped out my subscription from Birchbox a while back, on the whole I’ve been really pleased. 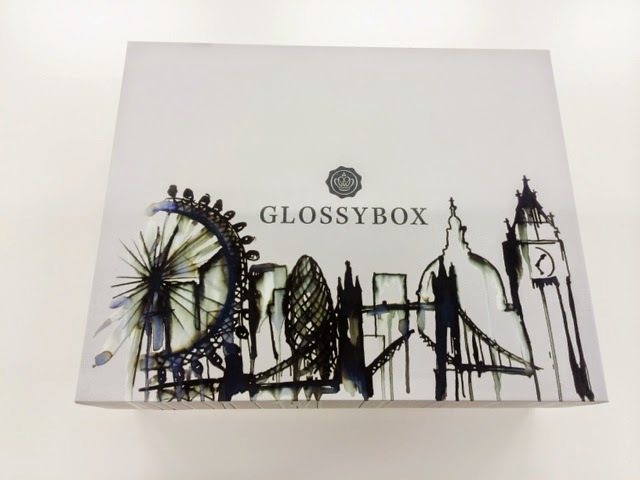 This month’s box was a collaboration with Karen Millen, and the box itself had this beautiful watercolour of London on the front, how pretty is that? As an added extra, there was also a voucher for £25 off at Karen Millen, but you had to spend £150 in store, which I’m unlikely to be doing at the moment so I gave it away to a colleague. 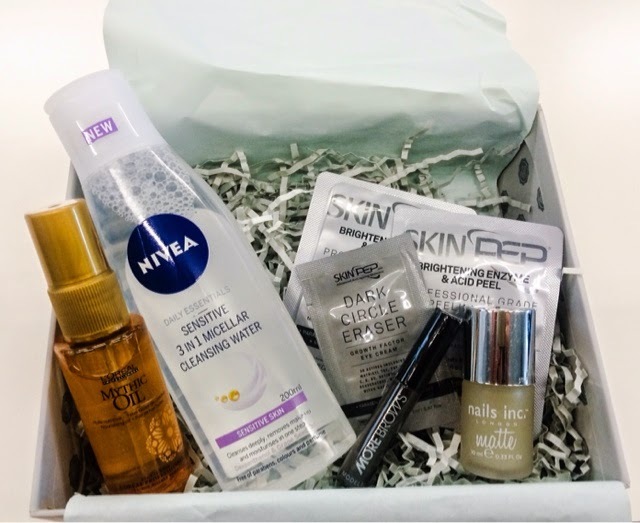 Sooo…what delights were tucked in this month’s box? Being somewhat of a brow obsessive, I was so pleased to receive this product. 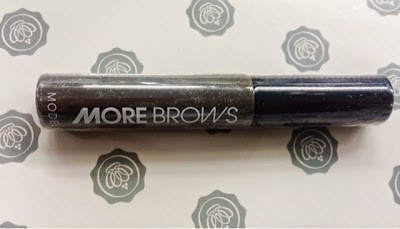 The premise of it seems similar to Benefit Gimme Brow, which I’ve been wanting to try for a while. It’s a brush on gel that comes with a mascara-type applicator want, and it contains fibres to bulk up your arches. I’m a big fan of a power brow, but the outer tails of mine are very sparse and do need quite a bit of help, so I think I’ll like this a lot. Luckily, the colour I got was a dark brown that matches my hair, I’m not sure how many shades this comes in. I like this product a lot, although I think if you like a really clean, precise shape its going to be difficult to achieve that. I’d probably still have to use some kind of brow powder or cream to get the right shape, but this is great for a slightly more natural but still defined look. A great find. This was the product Glossybox leaked a picture of Binky from Made in Chelsea holding, so perhaps she’s the brand ambassador now? Well, she has good a good brow game going on, so if she uses this, I’m sold. I am already deeply in love with this product and a repeat buyer, so although this isn’t new to me, the cute little travel size bottle is a perfect addition to take with me when I go away. 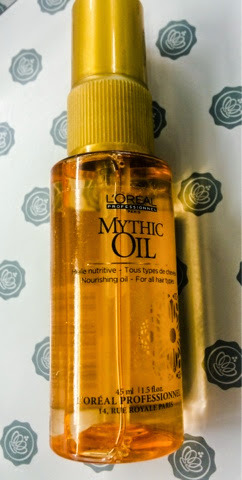 There are so many things to love about Mythic Oil. First of all it smells heavenly and perfumes your locks. Its also very lightweight and totally non-greasy. It makes your hair satin soft and gives a beautiful lustre to your locks. My hair is pretty damaged after going from blonde to brunette and back again twice (plus ombre in between), so it really needs TLC to look half-decent, and this product really delivers. I wouldn’t be without it, so I’m very happy to see it in the box. Its always the finishing touch for my hair when I’m going out as the subtle scent and the shine it gives makes you feel a million dollars. As a massive collector of Nails Inc polishes (take a look at my nail polish collection post for details!) this was another brand I was very pleased to see in my box. Matte nails are hot, but re-buying shades you already own in a matte formulation is most definitely not, so a top coat is a key item. 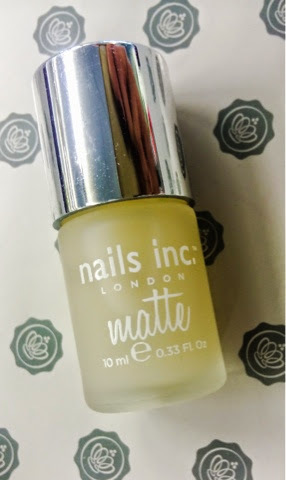 I really love looks where they do a matte nail with a glossy tip or the other way round, so this will let me play around with those kind of looks – I’m abig fan of ‘lazy nail art’, where you can do simple things that don’t require much artistic ability. This is perfect for an easy way to get a high-fashion look, and of course it will slot into my collection perfectly. The timing of this is perfect as I’m just about to run out of my current cleanser. Like most of the known universe, I’m a huge fan of micellar waters and have completely abandoned using make-up wipes as I just don’t think they’re good for the skin. Having tried the Garnier and the L’Oreal offerings, I know that I like the product, but I’ve never thought to pick up the Nivea version, so I’m excited to try it. This variant claims to moisturise in addition to taking off make-up and dirt and cleansing the skin. Its free of parabens, colours and perfume, so perfect for sensitive skin. It also contains Grape Seed Oil which is really nice and balancing and used to be in a favourite toner of mine. 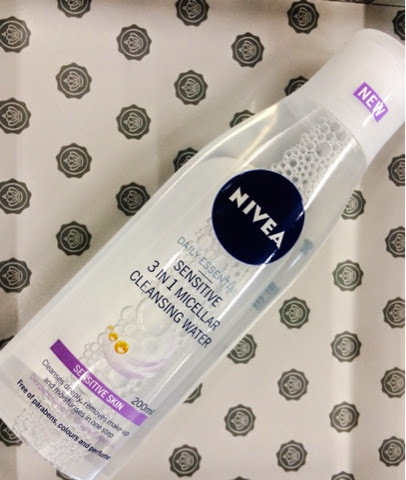 Curious to see where this ranks in the battle of the micellar waters, they’re all pretty miraculous – one of those products where you wonder how you ever did without them really. To get three full size products in one box is also highly generous, and great value. Rounding out the box were these three sachets of wonder. I think face masks are a really nice thing to get in the box and I love having them in sachets so I can travel with them, so I was very pleased. I especially love peeling face masks – there’s something deeply satisfying about peeling away the dirt from your skin – but they seem to be hard to find these days. This product bills itself as professional grade and on the reverse it says you should wear a sunscreen after using, so it seems like it’s going to be quite effective! 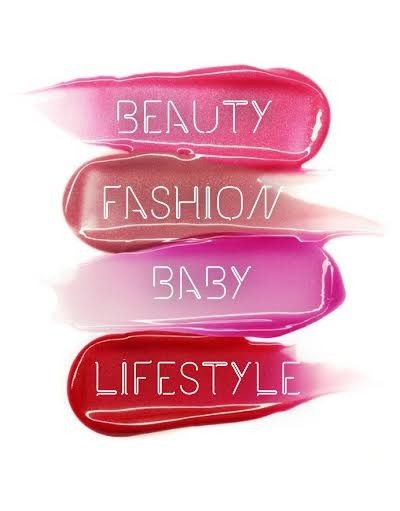 The list of skin goodies contained in these is phenomenal – Peptides, Glycolic Acid, Lactic Acid, Papaya and Pineapple Enzymes, Vitamin C and Co-Enzyme Q10. A lot of these ingredients are known to be amazing for brightening, resurfacing and de-aging skin, so it seems like an impressive list. The product says it exfoliates, dissolves dead skin cells and targets dark spots to leave ‘bright, beautiful vibrant skin’ so it sounds like the kind of treatment that would be ideal before a big night out. 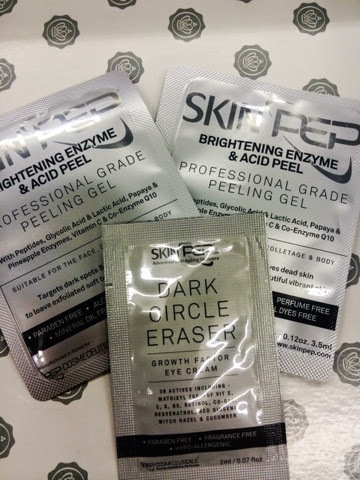 Skin Pep isn’t a brand I’ve tried before, but I’m very excited to do so and really pleased this came in the box. The eye cream also has a heap of space-age sounding ingredients, and you know I like my skincare ‘sciencey’ rather than organic, so this is right up my street. 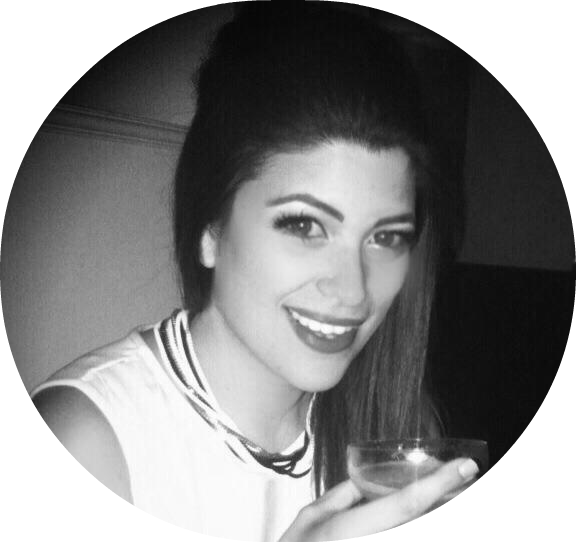 I suffer with dark circles quite badly, and nothing I’ve tried has really been miraculous at getting rid of them so far, but I live in hope! This cream boasts a whopping 38 actives- 38!! Just some of which are Matrixyl, Retinol, Co q-10, Resveratrol, red ginseng, witch hazel and cucumber. It also contains ‘Fibroblast Growth Factors’which sounds like some serious technology. This will boost collagen production, increase cell turnover, support blood vessels, lighten dark circles and neutralise free radicals. It sounds so good I want to slap it all over my face, not just under the eyes. I’m excited to try this and see if it does make a difference so look out for an update on that soon! A brilliant, great value box. 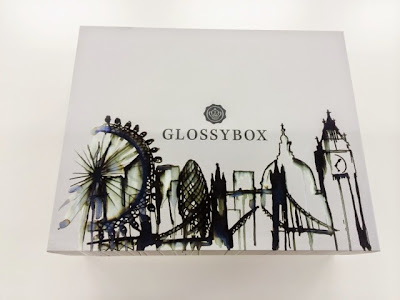 Glossybox have done themselves proud this month. There’s only been one box I didn’t like so far out of all that I’ve had, and you can’t beat getting something pretty in the post rather than the usual array of bills and advertising. Plus, the sneak peek of next month’s box has me all excited again, because its going to be pop-art themed! There’s also going to be a full size Nuxe face mask in the box, which I’m delighted about as I’ve heard great things about Nuxe and have wanted to try something from the range for quite a while. I’ll be stalking the postie next month then…. You've convinced me that the SkinPep products are worth being in the box with this, they really frightened me at first!